Did you know that St Patrick’s Day is more widely celebrated around the world than any other national holiday? 17th March is traditionally a religious commemoration of Ireland’s patron saint, but is almost universally known as a cultural celebration of ‘Irishness’ and all things Irish. 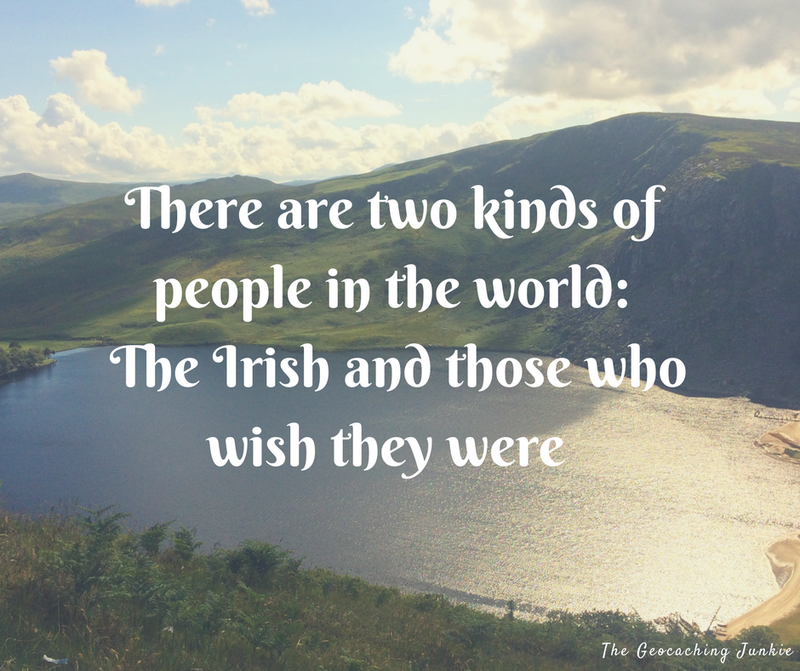 These days, Paddy’s Day celebrations are bigger outside of Ireland than they are within the island, and this is in large part due to the far-reaching Irish diaspora around the world, particularly in the USA, UK, Canada and Australia. We get everywhere really though, which explains why you’ll find an Irish pub almost anywhere you go in the world. 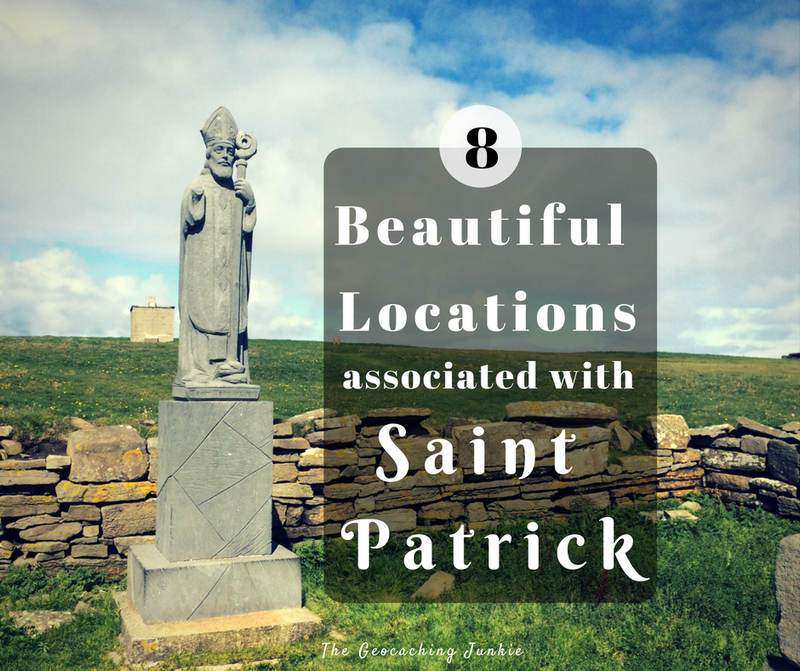 To mark the day, I’ve put together a list of some important locations relating to the man himself, Saint Patrick, and of course, the geocaches hidden there. 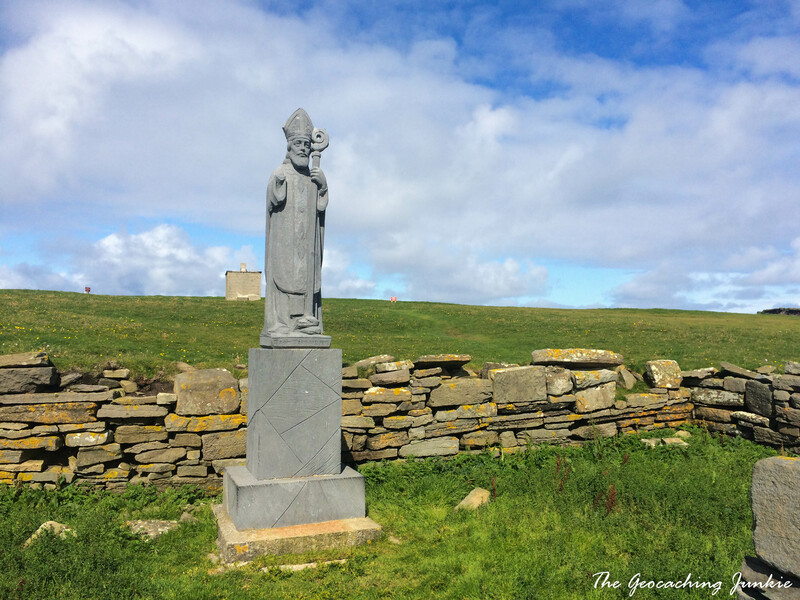 Aside from being associated with our patron saint (who wasn’t Irish by the way, but that’s for another blog post), these locations are well worth a visit anyway – though I am partial to a place steeped in history! 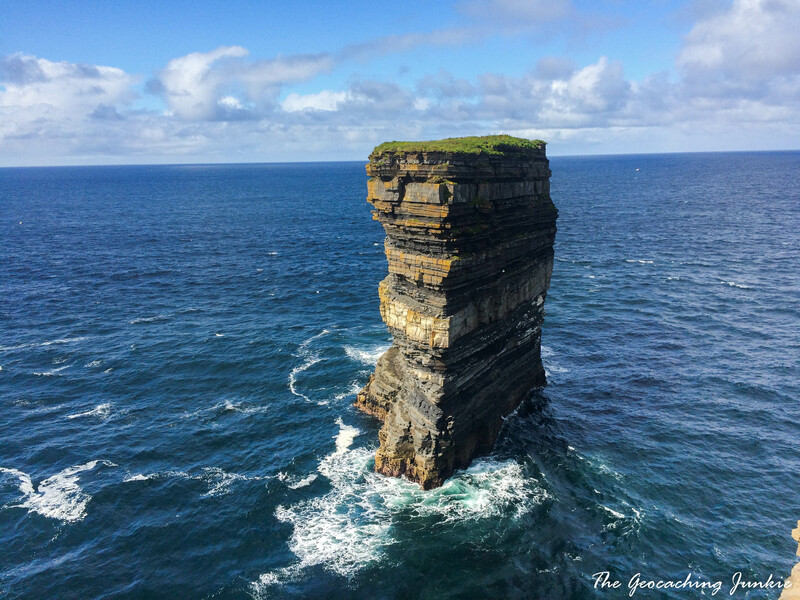 On the north coast of County Mayo is Downpatrick Head, a rugged and windswept headland where Saint Patrick chose to build a church. The ruins, as well as a holy well and stone cross, are still visible to this day. 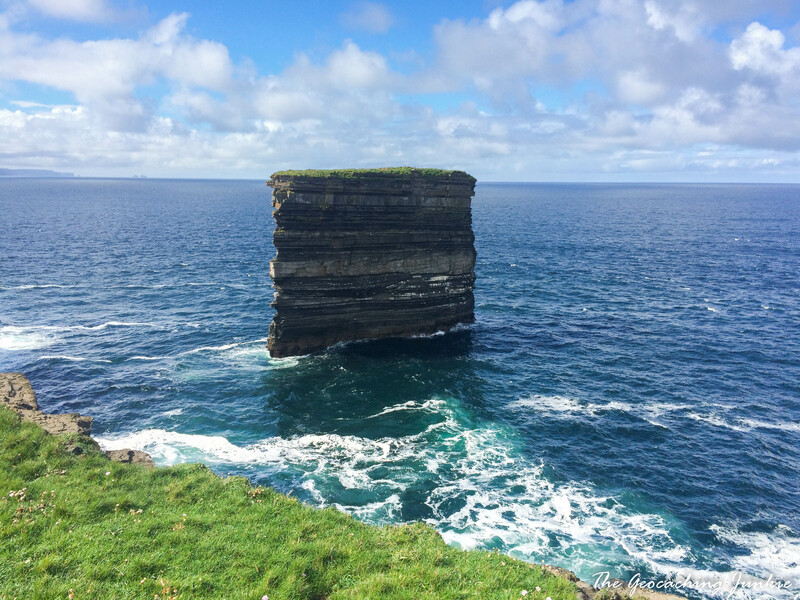 What is particularly awe-inspiring about Downpatrick Head is Dún Briste (‘the broken fort’) – a multi-layered sea stack standing just 228 metres offshore. Legend has it that when a local Druid Chieftain named Crom Dubh refused to convert to Christianity, Saint Patrick struck his crozier on the ground in anger, separating the piece of ground the Chieftain stood on from the rest of the headland, thus leaving Crom Dubh to die isolated atop the stack. 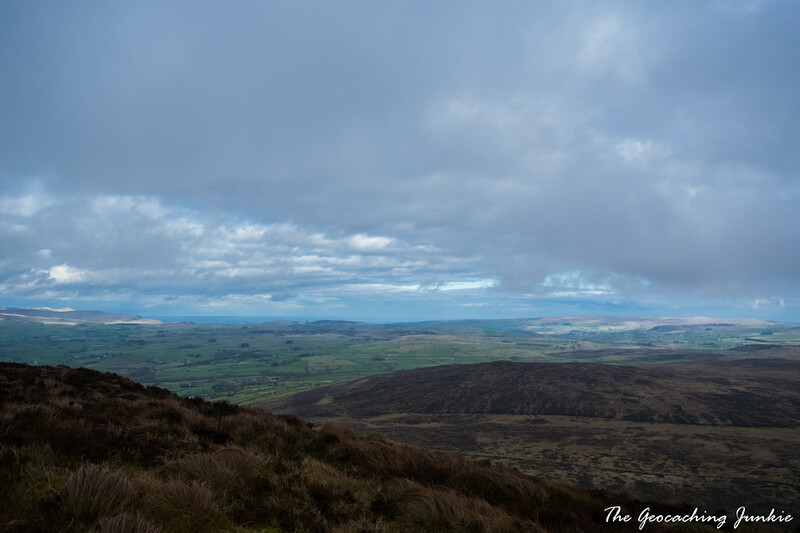 There are several geocaches in the area, including a 5/5 traditional at the top of the stack, and at the time of writing, FTF is still up for grabs. You can read the story of the cache’s placement and other adventurous caches placed by the same CO, Iain Miller, in this blog post from September 2016. 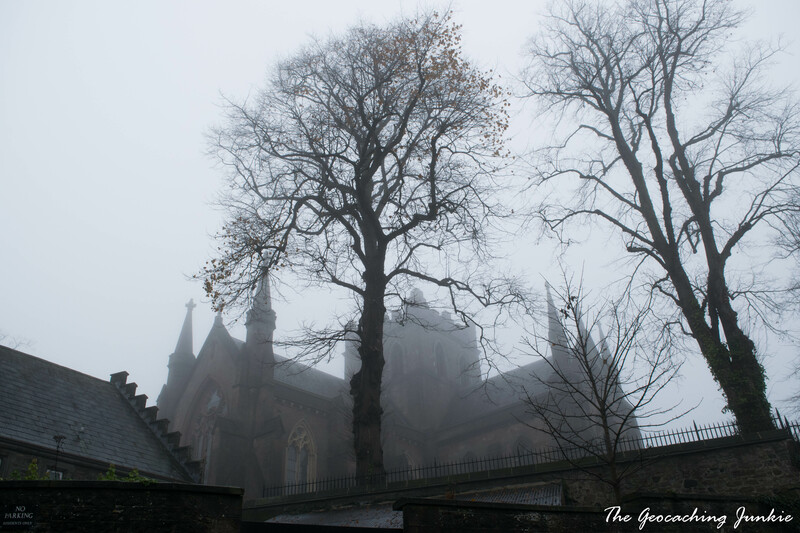 Northern Ireland’s smallest city is synonymous with Saint Patrick, as he established his principal church there in the middle of the fifth century. 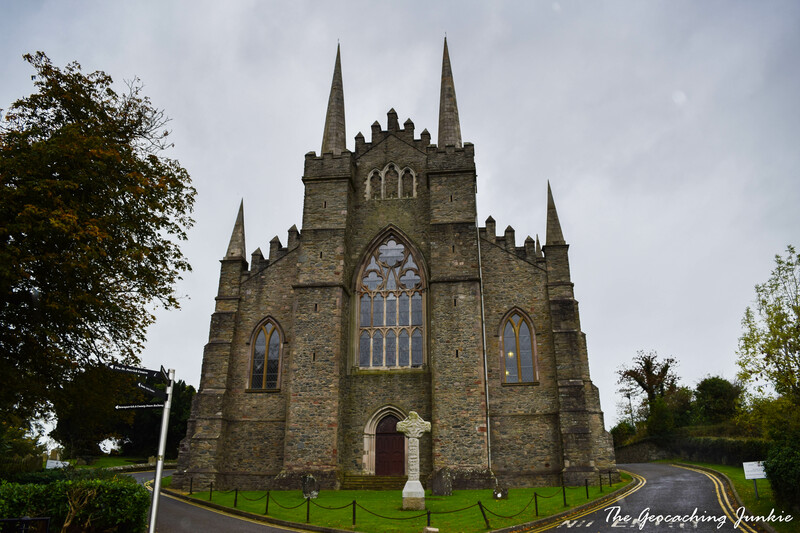 There are two St Patrick’s Cathedrals in Armagh,and the Church of Ireland Cathedral is built on Willow Hill, which was the site of the stone church founded by the saint himself. There are a lot of unknowns and disputed tales about Saint Patrick – even down to when exactly he was in Ireland – and the story of him tending sheep on the slopes of Slemish Mountain in County Antrim has been questioned by some, who believe he was actually enslaved in the west of Ireland. 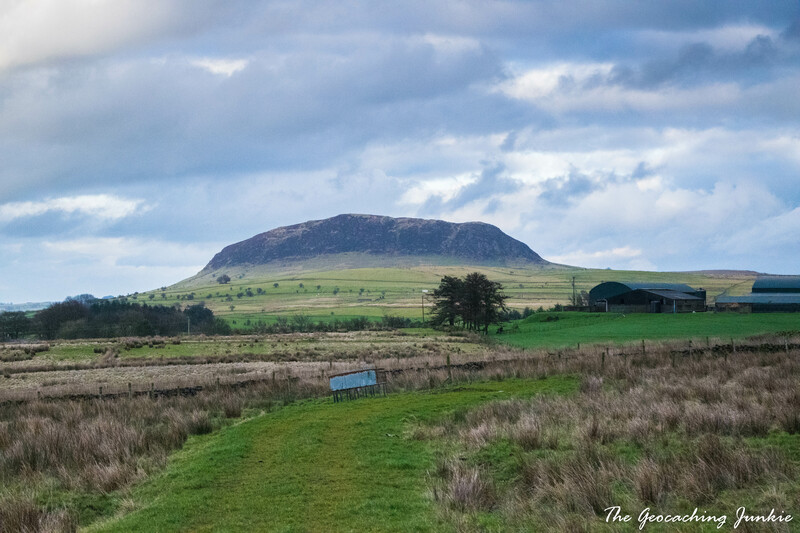 While we can’t be sure on the details, one thing is for sure, Slemish is a major pilgrimage site for many, particularly on 17th March, when crowds make their way to the summit in the saint’s honour. It’s a short but steep climb with fantastic 360 degree views and well worth doing on a clear day. 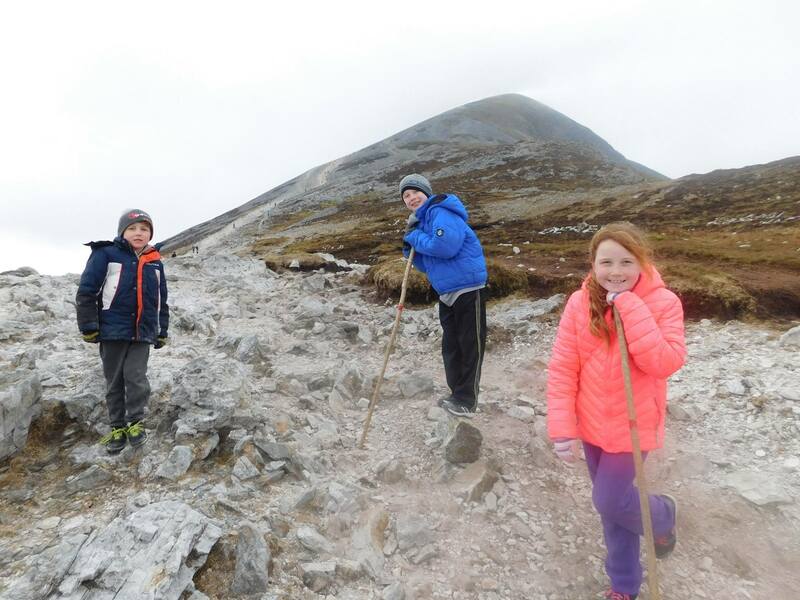 Considered to be the holiest mountain in Ireland, pilgrimages to Croagh Patrick actually predate the saint and are purported to go back as far as 3,000 BC when the summer solstice was an important date in the pagan calendar. 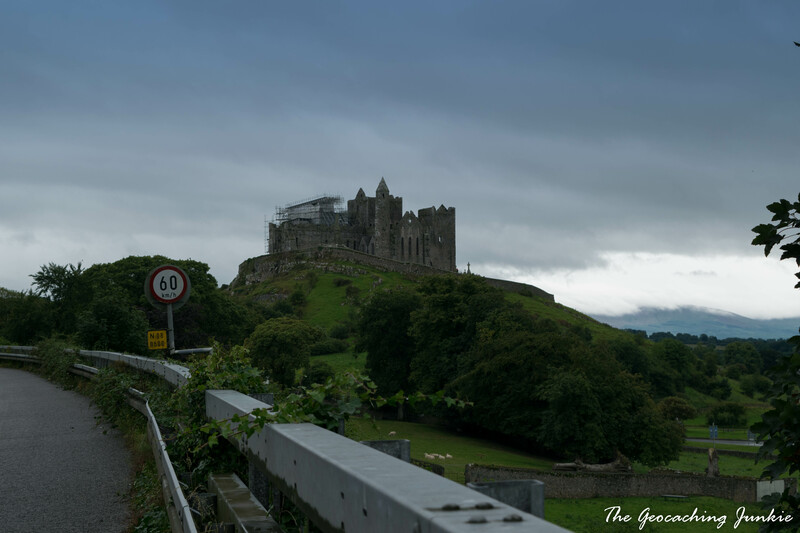 Often referred to as ‘Saint Patrick’s Rock’, the Rock of Cashel is associated with two legends surrounding the saint. 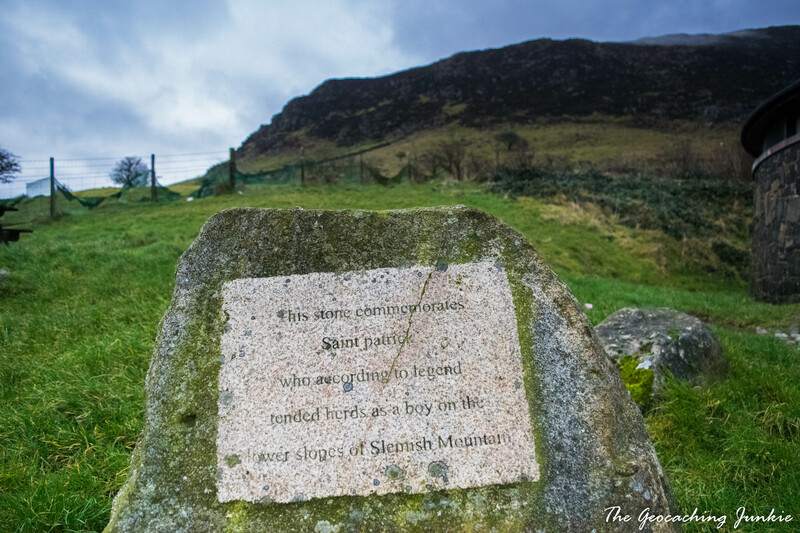 The Devil’s Bit, some 20 miles away, is so-called because satan is said to have taken a bite out of the mountain and hurled it at Saint Patrick. 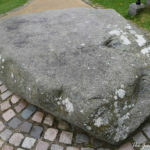 His aim wasn’t great though, and the rock landed in Cashel. 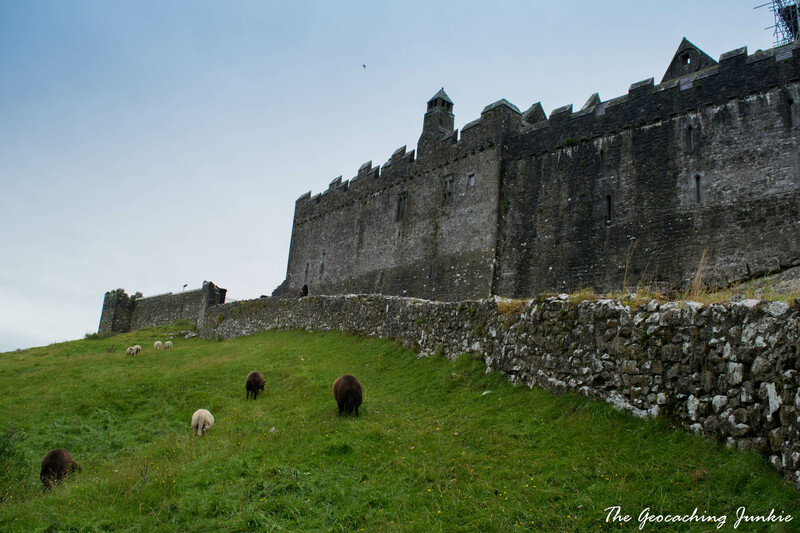 The Rock of Cashel is also said to be the site of the conversion of the King of Munster to Christianity by St Patrick. 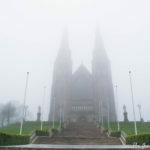 The cemetery at the impressive cathedral in Downpatrick, County Down is believed to be the burial place of Saint Patrick. Saint Patrick’s death is mentioned in the Annals of the Four Masters, where it states that he was in his 122nd year at the time of his death. No mean feat given that historians now believe that the average life expectancy at the time was 30. 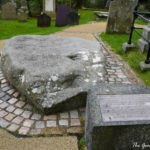 As with most stories surrounding Patrick’s life, we can’t be sure of the exact details of his death and burial, but legend has it that the ‘Battle for the Body of Patrick’ (Cath Coirp Naomh Padraic) was fought between the Kings of Tara, the Oirghialla and the Ulaid of Ulster, with his eventual burial taking place at the Ulaid site of Dun Da Lethglas, now called Downpatrick. Upon his return to Ireland, with a view to bringing Christianity to the Irish pagans, Patrick landed at the mouth of the Slaney River, near the townland of Saul. The local chieftain, Dichu, gave Patrick a barn to use as shelter and it was here that established his first church and went out to preach. 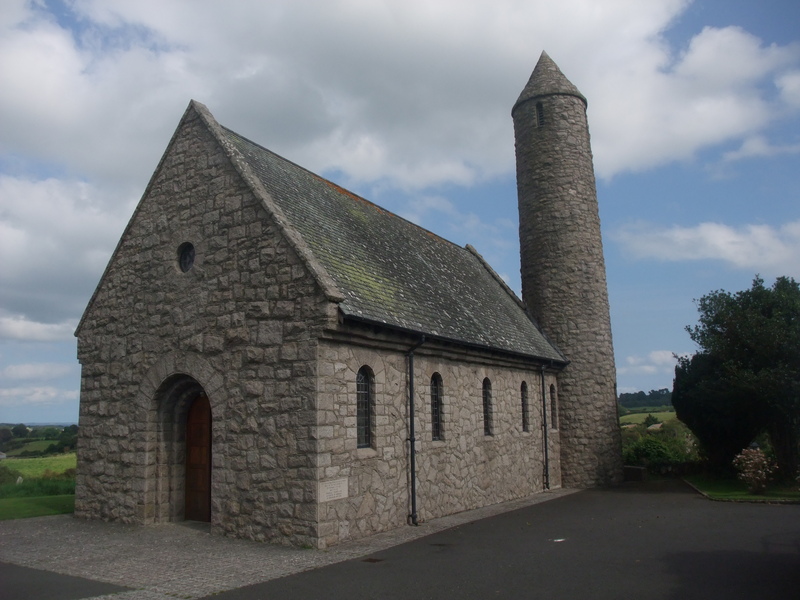 The stone church that stands here now, known as both Saul Church and St Patrick Memorial Church, was built in 1932 to mark the site of the original church. 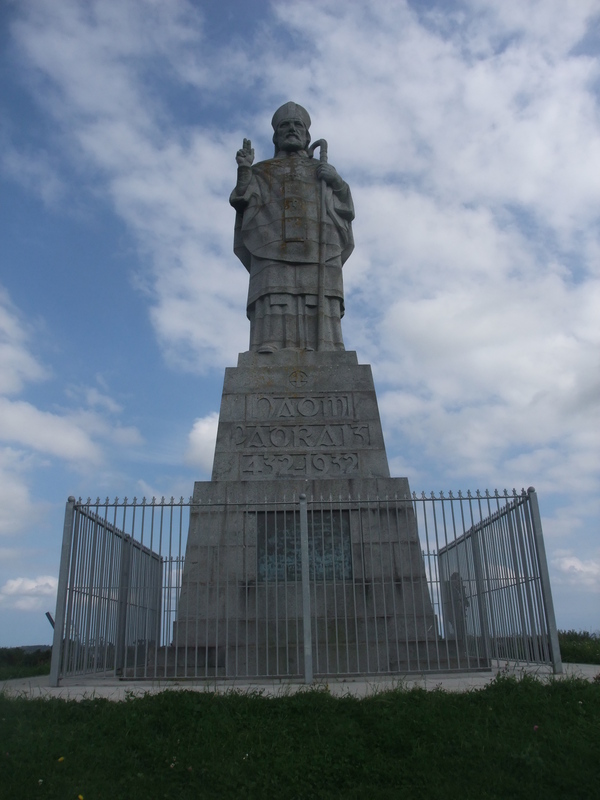 A huge statue of the saint sits atop the aptly named hill, Slieve Patrick, located nearby to Saul Church. 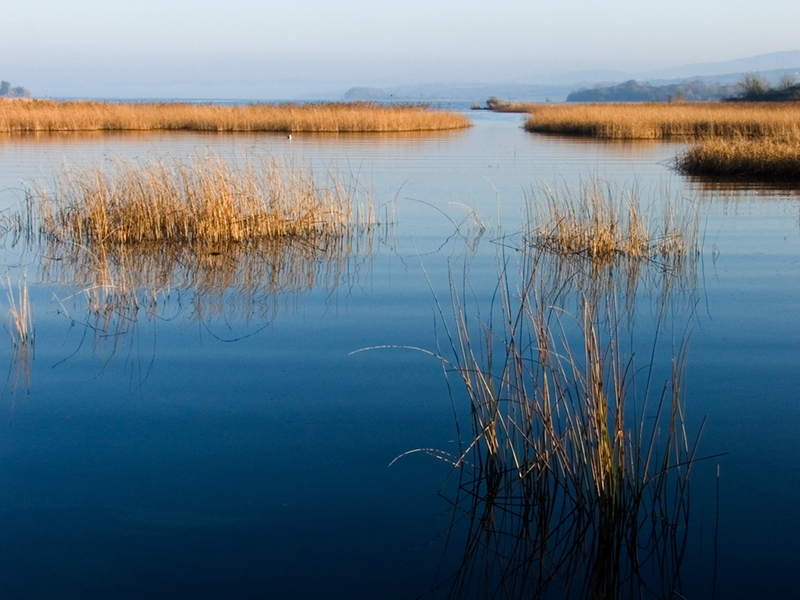 Commonly known as St. Patrick’s Purgatory, Station Island on Lough Derg, is another well-known pilgrimage site associated with the saint. 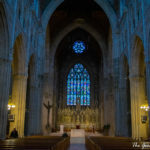 The legend goes that Patrick had grown weary of the doubts of those he tried to convert and prayed to God to help him by providing some sort of proof of his existence. 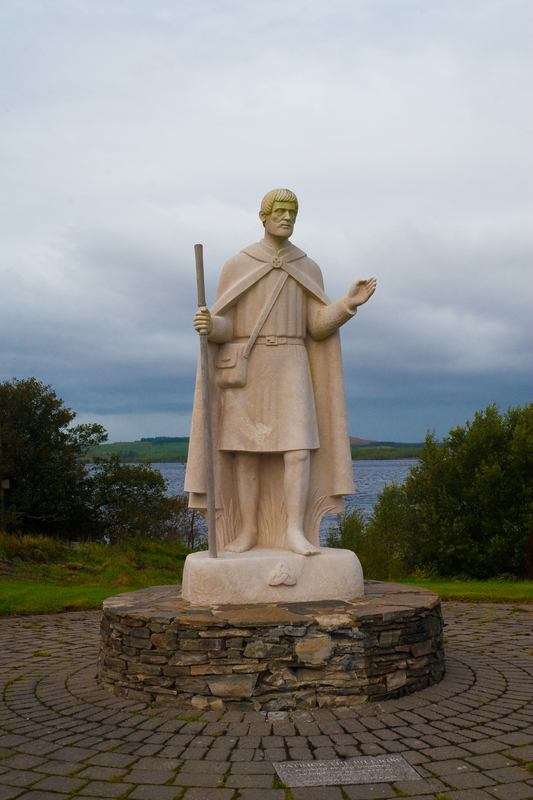 God showed Patrick a pit in the ground on an island in Lough Derg, and called it Purgatory. The pit was a sort of gate to hell and would serve as proof for the doubters of all that Patrick had taught them. I have been lucky to visit many of these amazing locations – due in no small part to geocaching – but there are still some I have to see. They are certainly all on my Ireland bucket list! Have you been to any of these places? Where in Ireland do you dream of visiting? Let me know in the comments! Great piece – nicely written as always. However I’mean wondering how the stull unfound Dún Briste 5/5 has a favorite point! A very good question! How strange! I had to go double check it hadn’t been found since I wrote this yesterday but definitely no finds but one FP. Curious. Very informative piece, thanks sarah!